Grand Junction, Colorado offers a variety of quality lodging options that will meet the needs of any traveler or group. 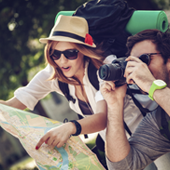 Use this local business directory to find a hotel with a room for the night so you can explore local sights or one that can accommodate a large group for several days. 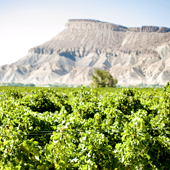 The Grand Junction area has accommodations offering exceptional levels of hospitality and service. If you're passing through for the night and need to find a hotel or motel that is conveniently located near Interstate 70, or you're looking for a romantic inn where you can spend a weekend discovering Colorado's Wine Country, the Grand Junction area is home to a variety of hotels and motels offering amenities and services to make your stay more comfortable and enjoyable. Whether you're visiting Grand Junction in search of amazing outdoor adventures or simply want to stay for a night and enjoy a swimming pool, there are hotels that fit your needs and your budget.